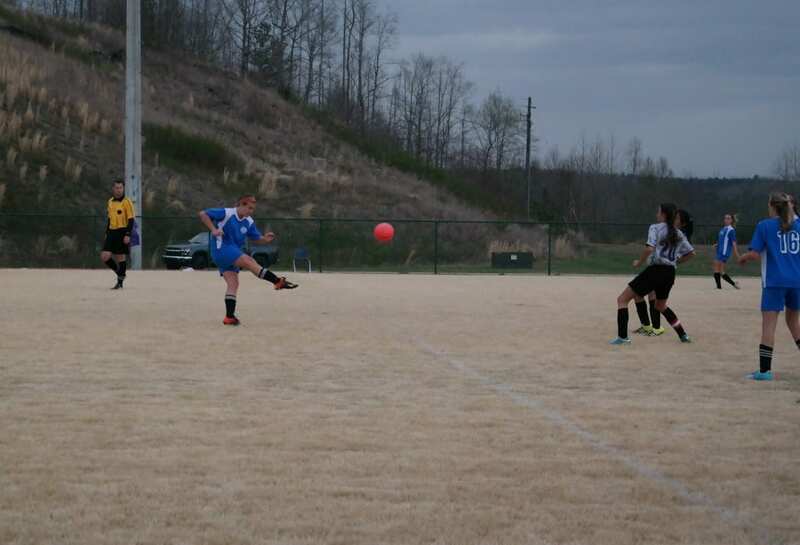 For the first time in recent memory, the North Georgia Mountain League soccer championship matches did not feature a Clear Creek Middle School team. Both the Lady Cats and Bobcats were eliminated in the championship semifinals last week. After the Lady Cats defeated Pickens in the opening round 5-1, they fell to Riverview 7-3 in the semifinals. Meanwhile, the second-seeded Bobcats were upset by the Fannin Rebels, 1-0 in a home semifinal match last Friday. 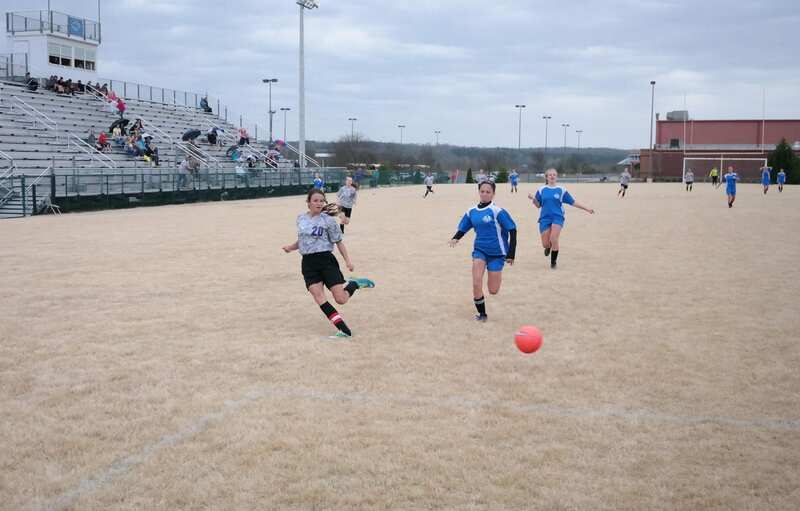 The Lady Cats were aided immensely in their quarterfinal win over the Dragonettes by Naomi Coombs and Reagan Boling, both of which scored two goals. Cadence Smith added to the tally to give CCMS the victory. In the semifinals against Riverview, the Lady Eagles struck first, on a goal from Katie Clouse with 16:29 left in the first half. Coombs tied the match 1-1 with a goal as 12:35 remained before halftime, before a Riverview scoring barrage quickly broke the deadlock. Kinsey Beaty punted a penalty kick into the net with 9:35 left before the break, while Maycie Calhoun and Alexa Elliott scored with 8:30 and three minutes left in the half, respectively, to give the Lady Eagles a 4-1 advantage. Clouse added her second goal of the affair 50 seconds into the second half. Coombs cut the Riverview lead down to 5-2 by scoring on a penalty kick with 25:20 left in regulation. Piper Wright increased the Lady Cats deficit by scoring back-to-back goals for the Lady Eagles with 12:45 and 4:45 left in the game, respectively. Octavia Bushey gave CCMS one more goal before the end of the contest, scoring with 3:10 left in regulation. The Lady Cats were unable to garner more goals before the shootout ended, giving Riverview the semi-final victory. Jalynn Ledford had seven saves at goalkeeper for the Lady Cats, while Boling nabbed two. Bella Ragey secured five saves for the Lady Eagles. The Bobcats loss left the boys with an overall record of 4-3-3 (4-2-3 in region play) for the year, while the Lady Cats finish their campaign with a final record of 5-6 (4-6 in region play).